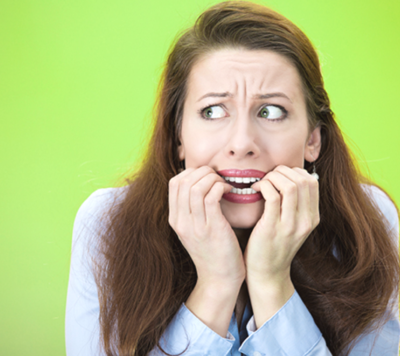 We understand that many people experience fear and anxiety when they visit the dentist. This fear or anxiety can prevent many people from going to the dentist and keeping them from getting the necessary dental treatment in a comfortable fashion. Sedation dentistry will allow you to remain calm, relaxed and comfortable during any dental procedure you may need. Depending on the level of sedation dentistry you choose, you will have very little or no memory of the treatment provided. For patients that have some anxiety about the anaesthetic, we offer the option of using The Wand™. This device replaces the traditional syringe with what looks like a pen and provides extra comfort to our patient by utilizing an on-board microprocessor, which guides the anaesthetic flow rate when an injection is given. With The Wand™, we can automatically compensate for different tissue densities depending on where we are injecting and the anaesthetic itself is delivered at a constant pressure and volume so that the injection itself is hardly felt. Nitrous oxide sedation, or “laughing gas”, is a milder sedative that is administered at the office. It takes effect immediately, provides a numbing effect, and wears off completely at the end of the appointment. No post-operative assistance is required. With oral conscious sedation patients take a small pill about one hour before their appointment that induces a deeply relaxed but responsive state. When they arrive for their appointment, many patients hardly notice when the anesthetic is administered, and they often have little to no memory of their dental procedure. The sedative effect generally lasts for a few hours after the procedure and patients are required to have assistance going to and from the office. A qualified anesthesiologist will administer the anesthesia and monitor you, and we will perform the dentistry. You have absolutely no awareness of what is going on and no recollection once treatment is over, you are fully asleep at all times. We are very fortunate to have Dr. Comlekci and Dr. Ing service our office once a month for surgical treatment requiring moderate to deep sedation. Some of you have had the pleasure of meeting them and we have had a wonderful response from all our patients with respect to the care they received.